Oriental Grove is home to shops and services that delight the spirit & inspire the soul. Premier supplier of bamboo in Sydney, Mr Bamboo specializes in quality bamboo plants. Best bamboo is available for making privacy screens. Home gardeners and landscapers have used their products at the Sydney Motor Show to the Cargo Lounge. Choose from clumping, running and small bamboos. Services offered include removal of running bamboos when you are moving your house. 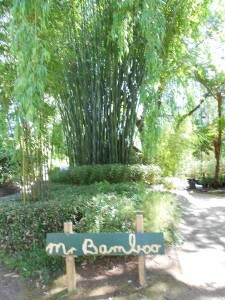 Tips on planting; maintaining and caring for your bamboos is available too. Since 1975 Bonsai Art is a leading importer, wholesaler and retailer of pots, tools, all requirements and accessories for bonsai. With qualified horticulturists, the Bennett family excels in the art of bonsai. Their videos and books feature tips of styling, trimming, pruning, watering, fertilizing and even re-potting. 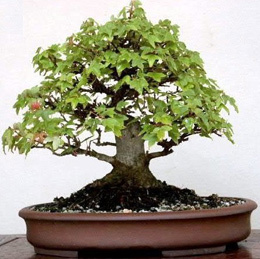 For Bonsai and Ikebana workshops and courses you can enrol with them. Classes are held in teaching studio at the Bonsai Nursery and run from February to November. You could also enjoy the several demonstrations and exhibitions held all through the year. Ken Lamb the chief designer of Imperial Gardens Landscape has successfully brought Japanese Gardens to Australia. Skilled in the art of oriental gardens he has renovated several residential and commercial premises. In all his works, there is a balance between the traditional principles of excellence and methods of blending eastern and western designs and construction techniques. Exquisitely crafted lanterns, water bowls, rain chains, ornaments, statues, ornaments, towers, pagodas and bridges are available in oriental stone. 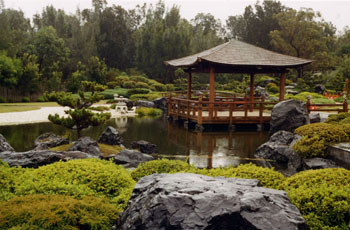 Designing and consultation services are available for traditional and contemporary Japanese and Chinese gardens. You can also attend workshops – bring in your site plan and photos to learn how rock placement, the kare-sansui gardening and planting ideas can be optimally used.